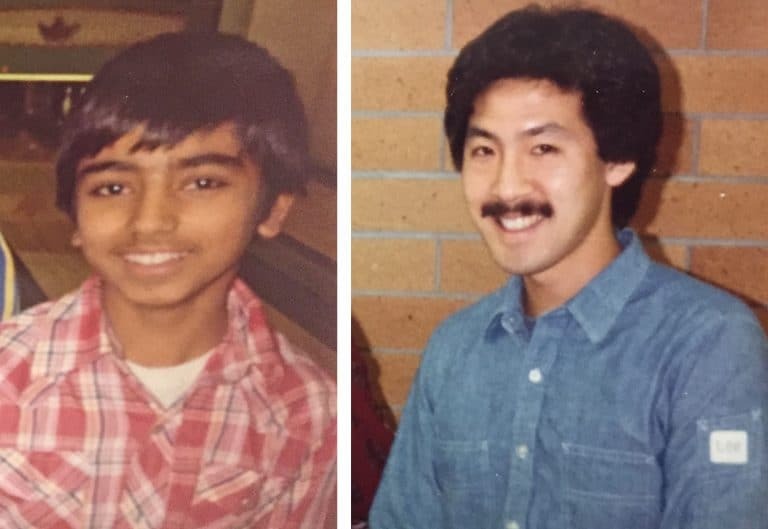 In 1999, Racy Sidhu and his Big Brother Randy Soon were featured in a Vancouver newspaper article. At that time, Randy and Racy were celebrating almost 20 years of friendship. Fast forward another 18 years and Randy and Racy’s friendship is still going strong. “I lived in a very tough neighbourhood. A lot of the people that I grew up with and played with – they ended up on drugs or getting shot,” says Racy. Both he and his mother Mohinder recall the tragic story of one boy who overdosed in the parking lot of a grocery store. Mohinder was a very strong role model for her son, but she turned to Big Brothers of Greater Vancouver in hopes of finding an additional mentor to keep Racy on the right path. At the time, children like Racy waited months and sometimes even years to get a Big Brother mentor — a situation which is still common today due to a lack of volunteers and funding. Racy had been on the wait list for years and was starting to give up hope. Then Randy signed up to be a volunteer. Indeed, Randy was an excellent role model for his Little Brother. Also coming from humble beginnings, Randy wanted to expose Racy to the business world so he invited his teen-aged Little Brother to meet his colleagues. “We sat down one day and wrote a business plan together. I was starting a software company,” recalls Racy, who went onto study engineering at UBC and now owns his own company. “I think I was 15 or 16 when I started to realize how important Randy was in my life,” admits Racy. “When I look back at it today, the amount of time that Randy spent with me, it speaks volumes of Randy and his wife.” Both Big and Little Brother speak fondly of going fishing, hiking, and watching the BC Lions together at Empire Stadium. True to his word, Randy continues to be a life-long Big Brother and friend to Racy and his family. Learn more about how you can make a difference by volunteering or making a donation.